Get expert care from a fellowship trained and board certified addiction medicine specialist. We offer physical exams, blood pressure monitoring, diabetes screening & more. Get immediate care for broken bones, flu symptoms, colds, and more with no appointment necessary. 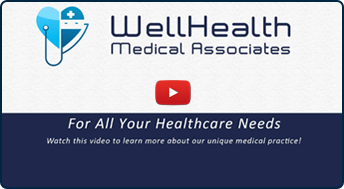 At WellHealth Medical Associates we are guided at all times by the values of compassion, trust and dignity. Our mission is to serve the people of this community through the provisions of optimal, high-quality medical care in a cost-effective manner. Dr. Murthy is trained in various medical specialties such as primary care, preventive medicine, behavioral & addiction medicine. He is president of Urgent Care of Farmington Hills and is Board Certified in urgent care medicine by the American Board of Urgent Care Medicine and Board Certified in Addiction Medicine/Dual Diagnosis by the American Board of Addiction Medicine. Dr. Bettman is board certified in internal medicine and has extensive experience in acute and chronic illnesses.